After Breast Cancer: Are You Getting the Right Imaging Tests? 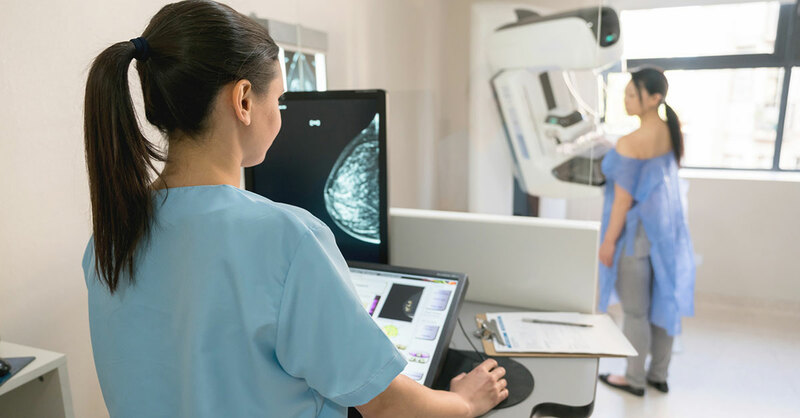 If you are one of the three million breast cancer survivors, follow-up imaging tests are an important part of your long-term care. But a new study has found that many women may not be getting the right guidance from their doctors regarding how often and even what type of testing to get. Researchers at University of California, San Francisco analyzed medical claims of 36,000 women with early-stage breast cancer over the first 18 months after breast surgery. While guidelines for breast imaging, established by the National Comprehensive Cancer Network and other organizations recommend a yearly mammogram or, in some cases, breast MRI, at least nearly a third of women aren’t getting this and possibly as many as a third more may be getting imaging they don’t need— full body imaging with more advanced tests using CT, MRI, PET or bone scan technology, which are not recommended, can be expensive and can expose patients to unnecessary radiation. How could it be that so many women aren’t following guidelines or aren’t following them correctly? They may be getting different advice from their doctors who might not yet be following evidence-based guidelines. There may be other factors at work, too. Fear of cancer recurrence may cause some women to avoid imaging…and others to seek advanced imaging in the hopes of finding cancer recurrence as early as possible. Important: While full-body imaging is good at finding early metastasis, study after study shows it doesn’t improve survival or quality of life and it may also be dangerous. Since a recurrence might not occur for up to 20 years, unnecessary additional radiation exposure can really add up. There is also the chance that testing will pick up a cyst or nodule in distant parts of the body that is not cancer at all—such false positives can add to anxiety levels and lead to more unnecessary testing. This list is not all-inclusive and you should share with your physician anything different that you notice about your body or how you feel. Most women live long and full lives with a low risk of recurrence, so a sensible surveillance plan is what you need. Develop a plan with your doctor soon after surgery and stick to it.